A fun game for developing hand-eye coordination. 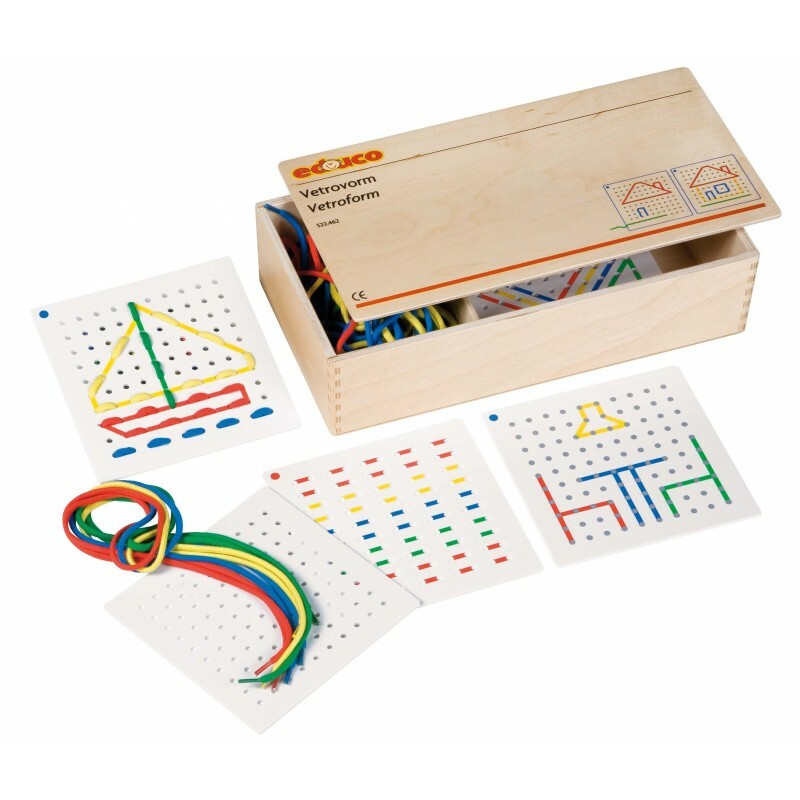 Copy colorful designs by threading strings through the perforated cards or use the 6 blank cards to create own designs. Contents: 18 perforated plastic cards 24 cotton laces manual Wooden box with partitions and lid (35 x 19 x 8 cm).